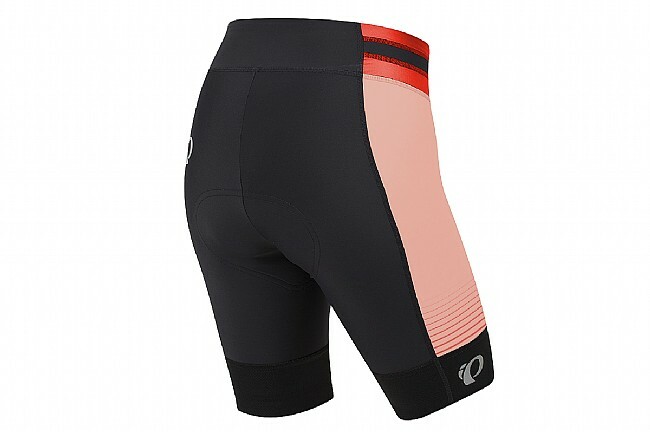 Pearl Izumi’s Women's Elite Pursuit Short features ELITE Transfer In-R-Cool® fabric powered by coldblack® for skin cooling, moisture-wicking, and UV protection with a UPF rating of 50+. 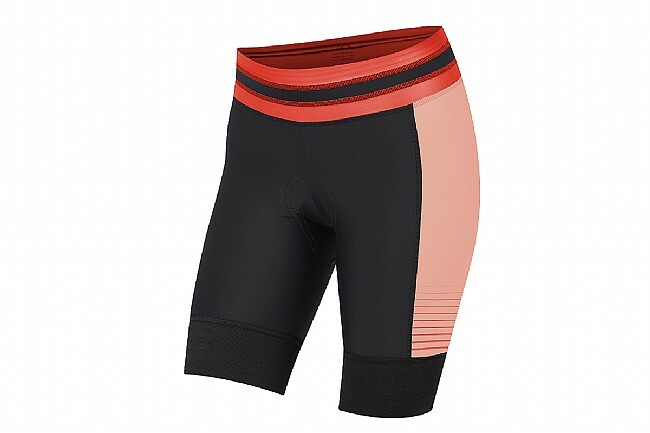 The ELITE Pursuit 1:1® Chamois offers plush, four-way stretch and high-density cushion for lasting comfort on the saddle, while the wide waistband and thigh grippers ensure a supportive, snug fit free from bunching and chafing. Season: Mild to warm (60° to 100°F). Chamois: Yes, W's ELITE Pursuit 1:1® Chamois. Fabric(s): ELITE Transfer In-R-Cool® w/ coldblack® (Nylon, LYCRA® elastane, polyester).